The popularity of Superdry grew the number of stores at a rapid rate, straining operations. This began to impact sales, as accurate and up-to-date information on inventory was not available. Keeping this in consideration, Superdry decided to upgrade their systems for POS and inventory management. The new automation system would include: hardware for shelf replenishment, inventory management and fast service at the point of sale. All these applications would be performed precisely and quickly on a handheld device to boost efficiency and enhance the shopping experience for customers. SuperGroup had been using the Falcon X3 mobile computer from Datalogic in the warehouse and was very pleased with the results. 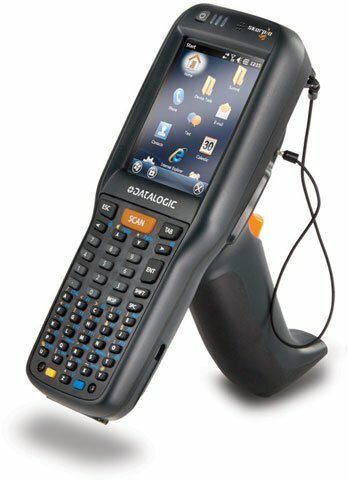 Based on that experience, the company looked to Datalogic first for hardware, testing the Skorpio X3 mobile computer. In addition to providing an ergonomic and user friendly interface, this mobile computer also features Datalogic’s patented ‘Green Spot’ technology, which provides the user with visual confirmation that a bar code has been read correctly. ‘Green Spot’ technology helps increase efficiency and throughput in busy retail and noisy warehouse environments. The advanced wireless communication capabilities of the device enable information to be transferred to SuperGroup’s BT Expedite Store 6 back end system in real-time, allowing the company to accurately track stock movements and levels in the store. The rugged Skorpio X3 mobile computer was implemented in all the UK and European Superdry stores. The devices perform retail store system operations such as goods in, price checking and inter-branch transfers. Superdry’s priority is to keep the customers happy and provide the best selection. Therefore, once the items are on the floor, inventory checks are made regularly with the Skorpio X3 device to make sure counts are accurate and that all sizes and color options are on display. If items are missing, the mobile computer issues an alert for goods to be brought from storage, reordered or transferred from other stores. Inter-branch transfers using the Skorpio X3 mobile computer ensure that slow moving stock from one store can be quickly and accurately sent to a store where those line items are selling well. Price checking is also done on the device to ensure prices on items are a precise reflection of what is in the Superdry system. Approximately 300 Skorpio X3 mobile computers have been rolled out in Superdry stores with excellent results. “The effectiveness of the solution was immediate, with great staff acceptance of the technology. Part of the reason for this success was the commissioning of a computer based training session that the staff could follow in less than 30 minutes. The training provided all the necessary skills to use the mobile computers out of the box,” commented Rob Wilkinson, IT Project Manager at SuperGroup. Datalogic technology is also utilized in other areas of the Superdry network. Gryphon bar code scanners are implemented at the point of sale in Superdry airport stores. These general purpose handheld scanners with advanced imaging technology were chosen for their ability to read 2D bar codes on passenger boarding cards from printed media and smartphone screens. Falcon X3+ mobile computers from Datalogic are deployed at SuperGroup’s warehouses in the large single site distribution center in Burton-on-Trent. There, nearly 200 devices streamline end-to-end supply chain processes across multiple channels within the business.